It was agreed to resume coal supplies from Donbas. Participants in the security group on a Donbas settlement have agreed that both sides will pull out troops in two locations, the OSCE special representative in the trilateral contact group, Martin Sajdik, has said, according to Belta. "I am pleased to say that all the sides have reached a principle agreement on the withdrawal of troops and arms in two locations: Zolote and Petrovske. The work in this regard will continue," he explained. It was said in the course of the talks that coal supplies from certain areas of Donetsk Region to the government-controlled territory of Ukraine were partially resumed. 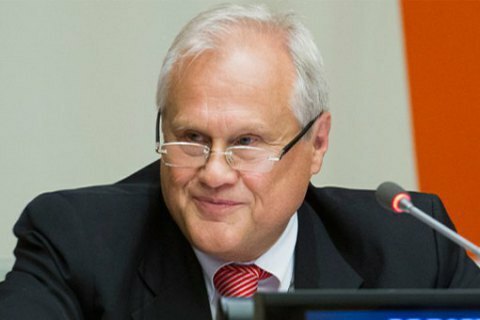 "This aspect is very important to electricity generation and a clearer mechanism of coal delivery will need to be worked out in the future," Sajdik said.